Black Sabbath guitarist Tony Iommi will receive an honorary degree from Coventry University next week. The Birmingham Mail reports Iommi will receive an Honorary Doctorate of Arts (Hon Darts) from the university during its graduation ceremonies in Coventry Cathedral on Tuesday, November 19. The university says the degree has been awarded "in recognition of his contribution to the world of popular music; in particular being recognised as one of the founders of heavy metal music and one of the greatest and most influential musicians of all time". 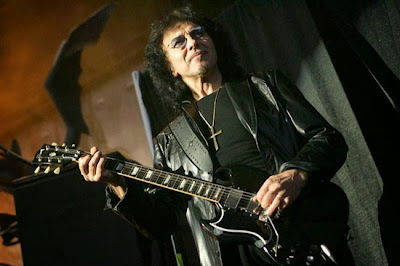 The day after the Coventry honor, Iommi and Black Sabbath will kick off European tour in Helsinki, Finland. The group was recorded over two shows – April 29 and May 1 – in Melbourne, Australia during the early stages of the group’s current world tour. For a full tracklisting, click here.